At junior high school I discovered the Mountain Bike. I was 12 years old. From that time I never left it. It began with three friends: Pierre Pichon, Jean-Baptiste (JB) Bouillon, Anthony Piscione and Yohan Cambourieu. Each had their own speciality: Cross-country (endurance), Dirt/Downhill (Tricks and speed) and Trial (maniability). After lunchtime Yvon Regout (a physical education teacher) was training us to Trial Bike. I met Pierre at school bus stop. With Pierre who was three years older than me, we went really far with our bikes. 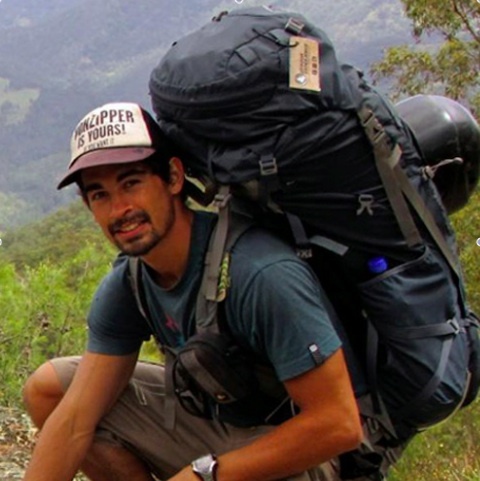 When I was 13, we rode nearly 62 miles each week-end without cell phone! To be quiet my parents locked up my bike sometimes! Two years after they offered me my first cell phone. With Yohan we was in the same class for 4 years. We liked to watch New World Disorder movies and after we were riding with adrenalin. Tony met us one year after and he became my best friend. We get up to all sorts of mischief together! It’s due them in particular that I became versatile on bike. I quickly got good results in France junior high school championships. So my parents help me to increase my level. 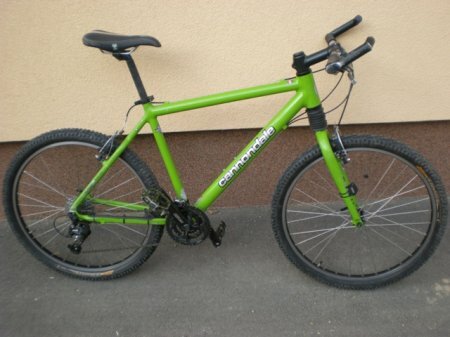 They bought my first real bike in a selling on consignment: a Cannondale F500. It was nice. Its frame which had the same color that grany smith apple. 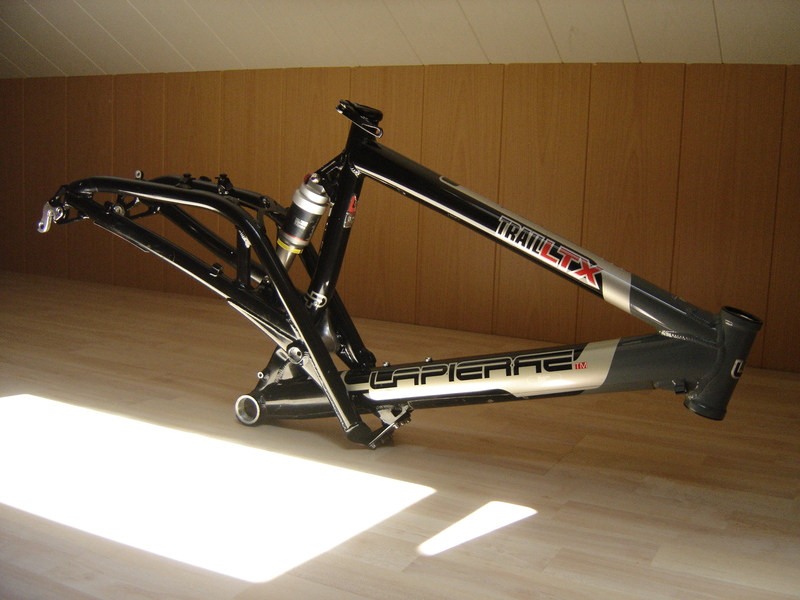 As my level was increasing month after month and I mounted the podium at every championship, the next year I decided to buy my first full suspensions mountain bike when I was 15. 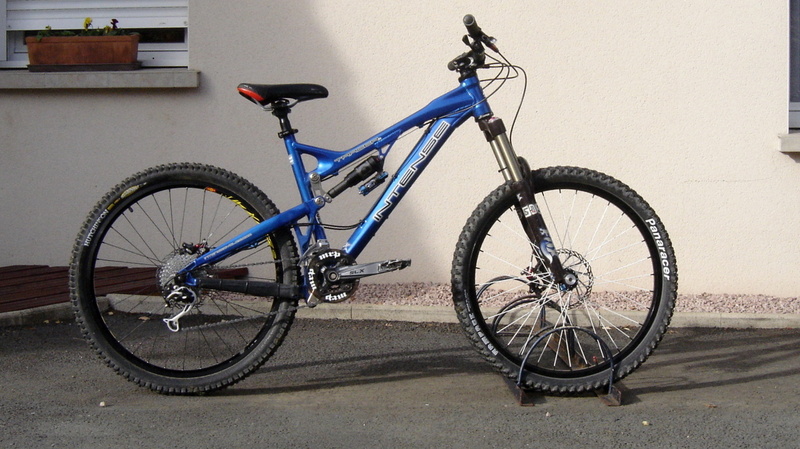 This time I bought it myself while mowing the law for 4 years… It was a Lapierre Trail LTX (2003 model). It was an awesome bike. It has opened the doors for me of All mountain and Freeride which will inspire me to move faster, to jump higher and to ride stronger. During 6 years I was riding this bike I broke the frame four times. Fortunatly, my father knew someone who could weld aluminium! Also during 6 years I made money and I sold my motorbike (an other great story). This was time to replace my bike. I was nearly 20. I was falling love of a Intense Tracer VP blue frame in June 2009. 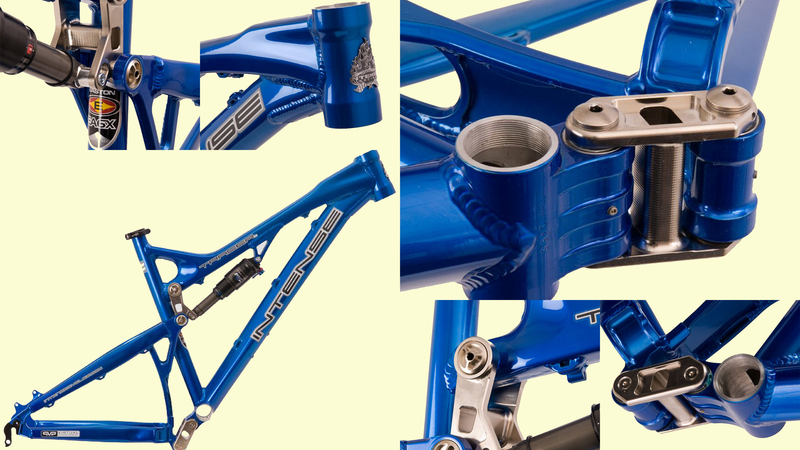 It was limited to 50 blue editions in the world. So I broke open my piggybank in order to buy it. It’s a 6 inches rear travel. I put a FOX 36 fork (2005) that I recovered on my Atomlab General Issue. I bought this one to Antony to increase in Street and Dirtjump. Wheels came from my Lapierre Trail LTX. I’ve sold many components to buy other more recents. 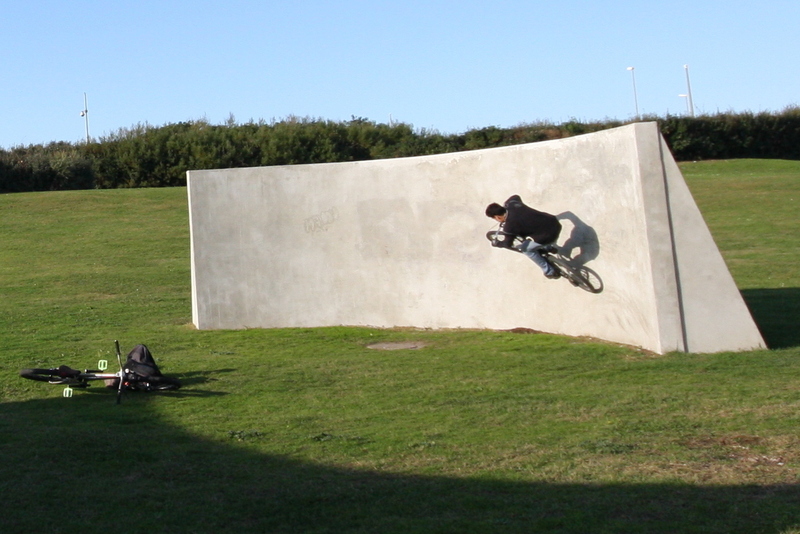 One year without Mountain Bike and I went to Bayonne. From high school until second years of university, I rode less than less my bike. 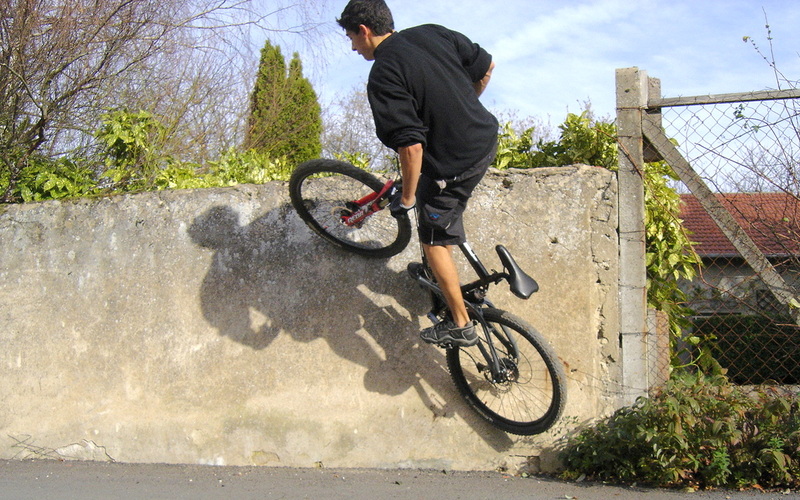 Yohan stopped mountain biking, Antony changed his bike each half year bewteen Downhill, Dirtjump and BMX and Pierre liked more than more road bicycle. That’s wind of change. I had stopped championship and I joined JB’s mountain bike club. They liked only cross-country. That was boring but less boring than ride alone. When I was 17 I moved to Clermont ferrand to follow sport management studies. I didn’t find other people who liked mountain Biking as I like it. So I got Federated Mountain Bike coach certificate for Virus VTT to teach my expertise to children for one year. But during my second study year, I totally stopped Mountain Biking. It’s only when I went to Bayonne that I found a club which had the same way of ride than me: Bikikoz VTT. I have this Intense Tracer VP for 3 years. I met many riders through my MTB club, as Alexis Delgado and Fabien Cousinier that I met during shooting of Pista Prest Dago. 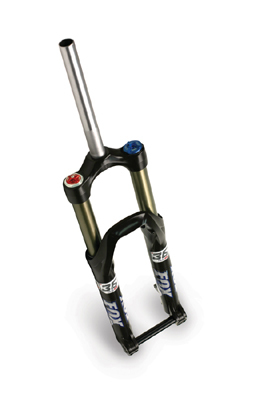 Thanks to “Couscous “(Fabien’s nickname), I bought his Bos Deville Fork with new settings at low price. With its configuration, this incredible bike is a little heavy (15 kg because of weight of wheels with DH minion 2.35 tyres) but I never had a bike so funny. Since June 2012, I take championship again but this time in Enduro bike with Enduro Bike Pyrenees Trophy. Lately I participed to Maxiavalanche from Vallnord and I was qualified to run the Europe Cup, less than 4 minutes to Dan Aterthon! However, the first frame edition (2009) was a little frail. I broke the frame end 3 times. The warranty of frame (2 years) expired since few months but the Barracuda Company (the webshop where I bought this frame) opened a procedure to help me. 6 months later, I was a new frame end. I thank them for that. Its yoke (the part which I cracked) is really reinforced. That’s a good thing! Also, VPP 2 (Virtual Pivot Point upgrade) doesn’t allow to put a stinger chain tensioner because of low small connecting rod. 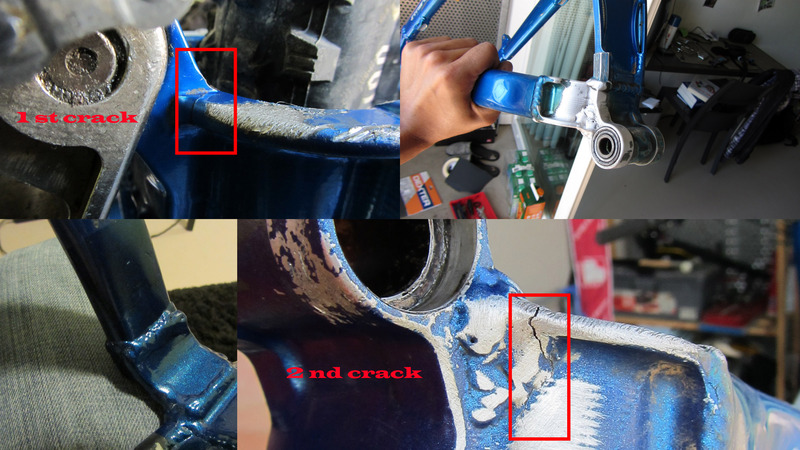 Therefore I fixed a stinger roller on my right base as close as possible to middle chainring. 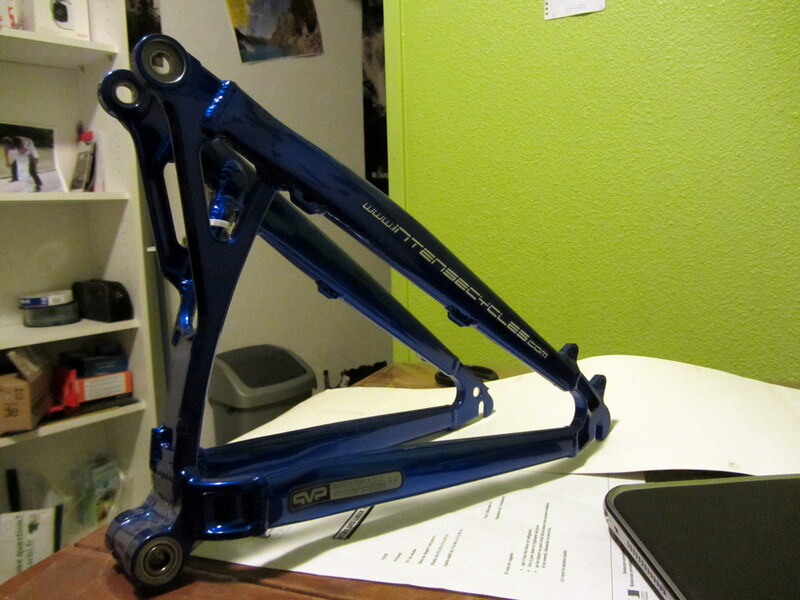 You can find testimonials about this frame on MTBR website. 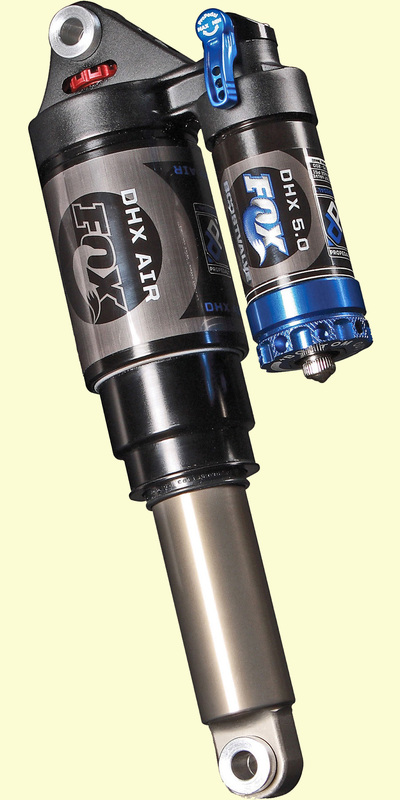 I chose to put a FOX DHX AIR 5.0 rear shock instead of FOX Float RP23 because I practice big mountain and Freeride. I take jumps more than 10 meters or 3 to 4 high meters with my Intense. So I need to slow down the travel end. 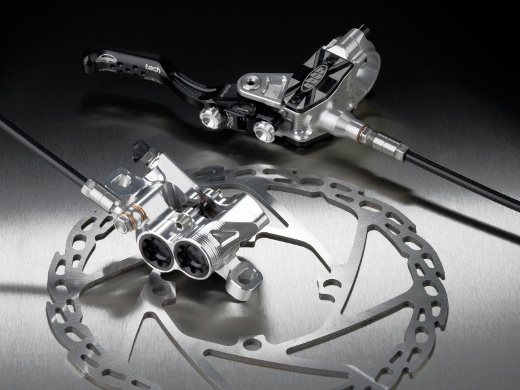 The Boost Valve on DHX 5.0 does it. I have an Avid Elixir CR brake system. It’s not very reliable. My rear brake has air bubbles and I need to bleed it after a hard day run. Moreover bleed it is hard compared with Hayes Brake. But its felling is regular, with good power and progressiveness. I would like changed it for a Hope M4 brake system. Lastly I changed my front disk brake with a 203mm rotor instead of 185mm. I have a 185mm rear rotor. My Bos Deville runs very well. 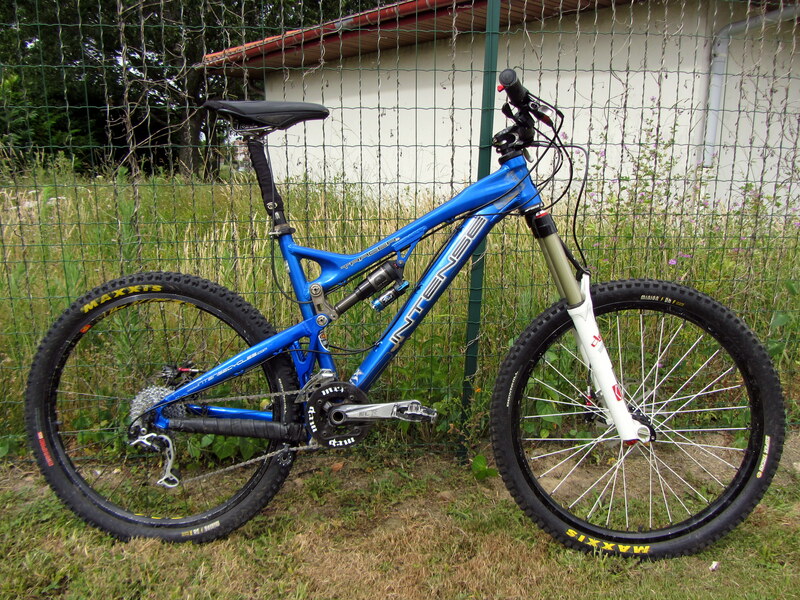 Compared with my Fox 36 Talas RC2 (2005) it was like night and day. 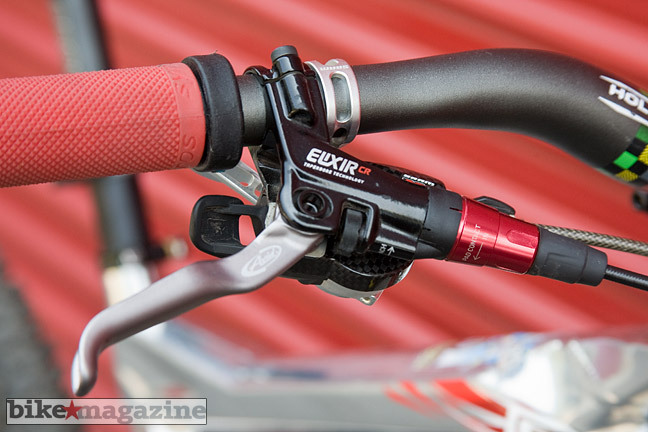 I recomand it for enduro bike. It has high and low speed compression, rebond and prestressing settings. It is very sensitive and it has a linear travel. If you use all travel, increase high speed compression. 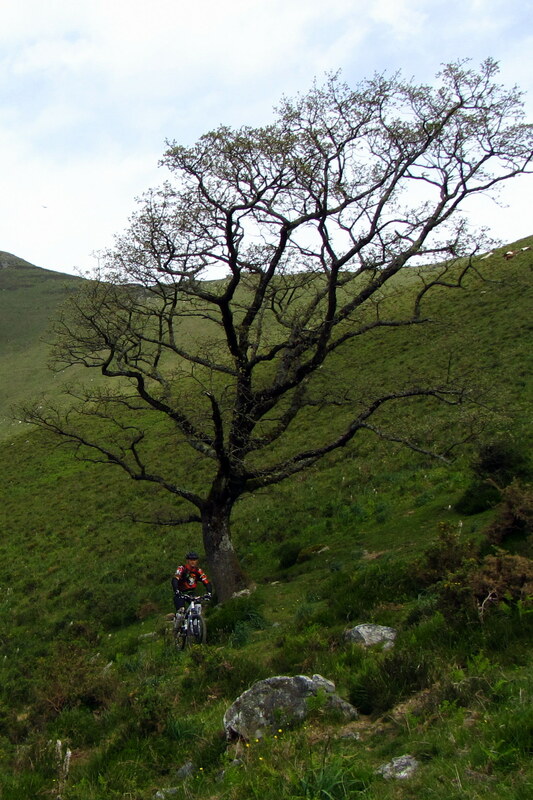 I use TRC system in brittle trails, never to climb. 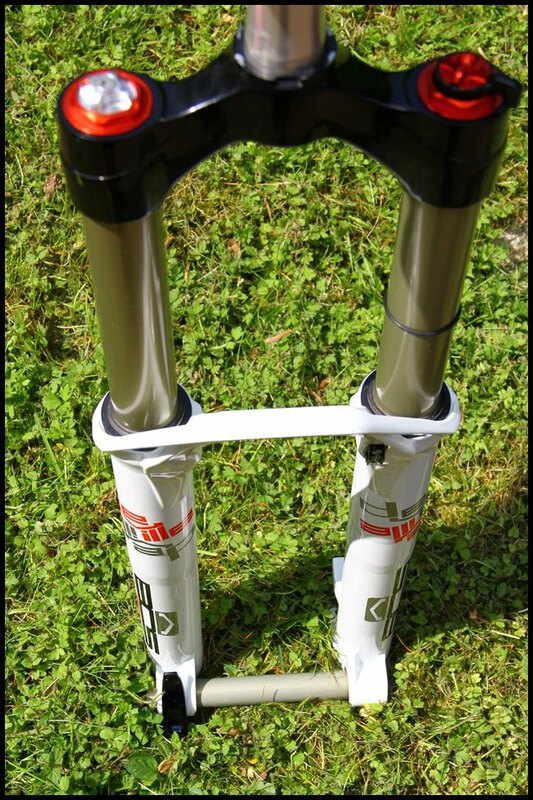 For enduro trails, a telescopic seat post is useful. With your thumb you can up and down quickly your seat. I have a KS I950. But I amended in swivel it to 180° to have the remote cable forwardpass. That protects the mechanism to mud. Moreover I use a neoprene sock. 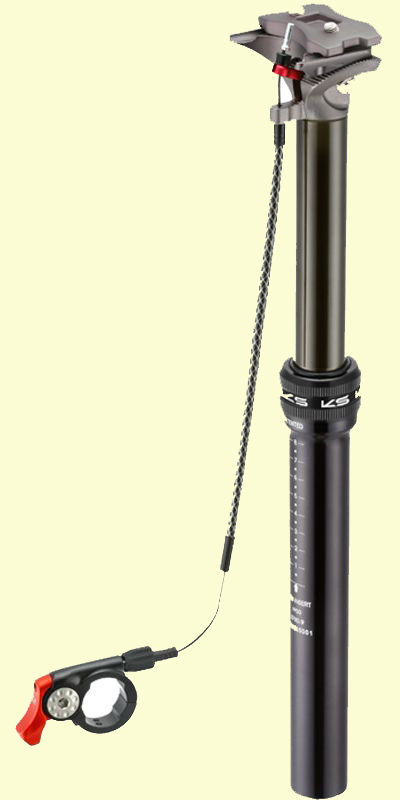 But sometimes, the seat post doesn’t back up entirely. 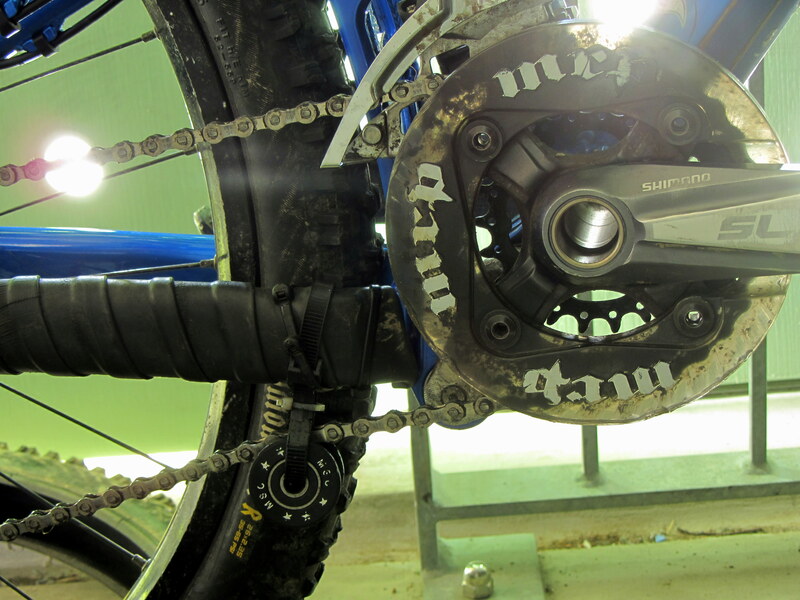 Since all time, I put one’s trust in Shimano system. 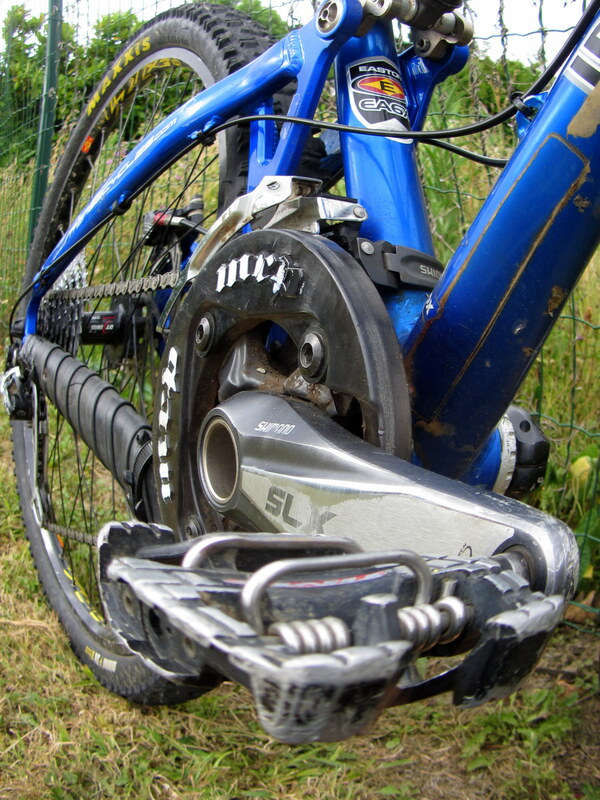 On this bike I use a SLX/XT (shadow) transmission and it runs well no matter mud or hard conditions. Thanks Mr. Shimano! 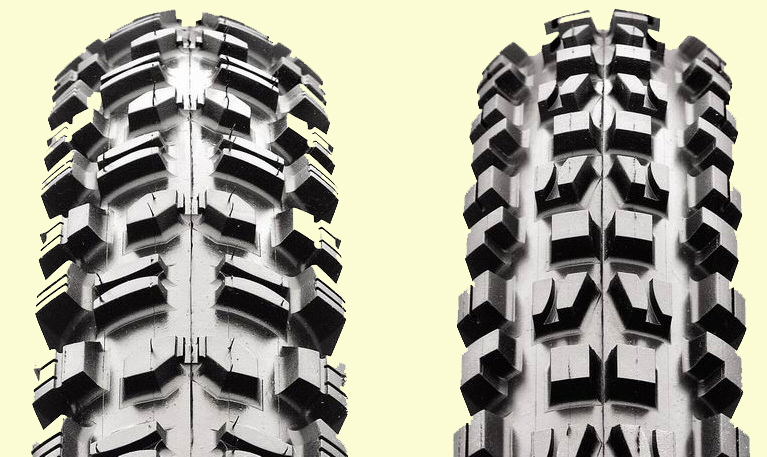 At first I used Hutchinson Barracuda rear tire and Panaracer Rampage front tire. Since I ride in the Pyrenees I destroyed many inner tubes with them. So I changed them for 2.35 Supertacky Maxxis Minion 2 ply tires. They are much heavy but they are indestructibles with much grip too! Next post Pourquoi ne pas profiter de mon escale à Singapour?